Bubba Gump Shrimp Co. | Bubba Gump Shrimp Co.
You’ll find Bubba Gump Shrimp Co. restaurant and market in the historic ‘Trocadero’ building, just a few minutes’ walk from Piccadilly Circus or Leicester Square. 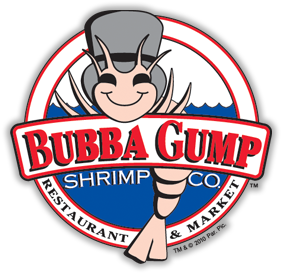 The restaurant is a tribute to the film ‘Forrest Gump’ and features a menu of comfort food from the American South that reflects the film’s setting in Alabama. Shrimp is of course the specialty but there’s something to delight everyone on the menu including all American burgers, crisp salads and indulgent desserts. Relax in a fun, casual setting where the friendly staff will welcome you just the way Forrest and his ‘best good friend’ Bubba would!